Vachon, John. “Orange, Texas. In the extended school day program in the public schools, some children of families where both parents are employed, come to school as early as 6 a.m. to enable the parents to get to work. 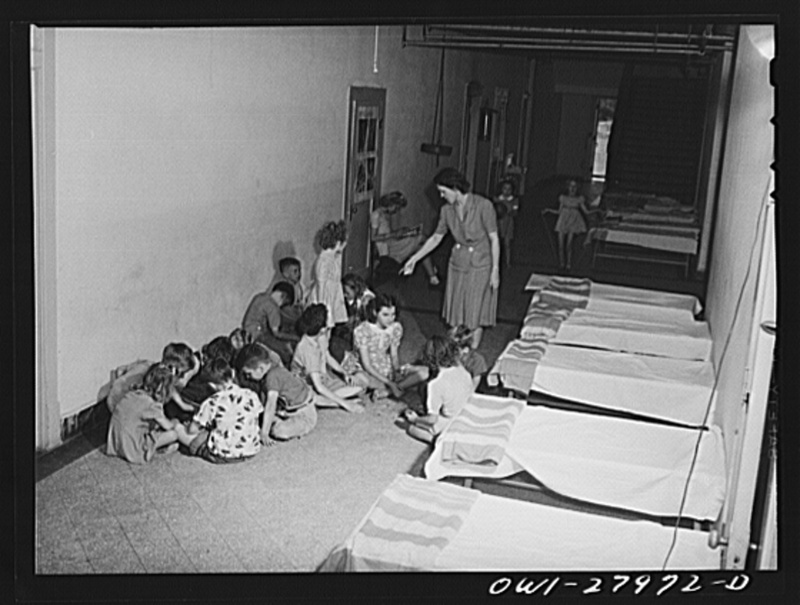 They go back to bed on cots in the school corridor. They they get up and go through the regular school day. After school until the parents call for them, up to 6 p.m., they have a recreation program conducted on a hobby basis. 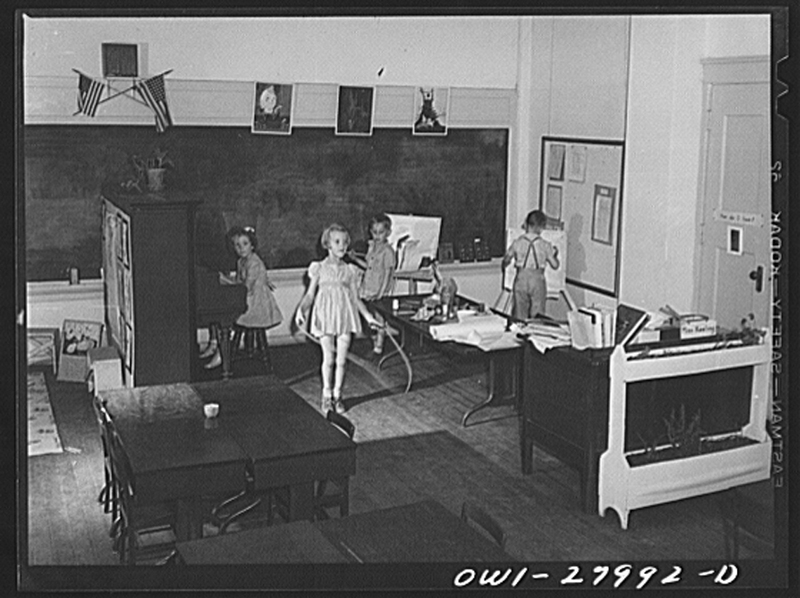 These children are playing after school waiting for their parents to finish work.” 1943 May. What are the children doing in this photo? Be specific and use details from the image to support your conclusions. Compare and contrast this classroom with yours. What are the similarities and differences? Look at this image of where the children gather before school. How do you think this program compares to today’s extended school day programs?